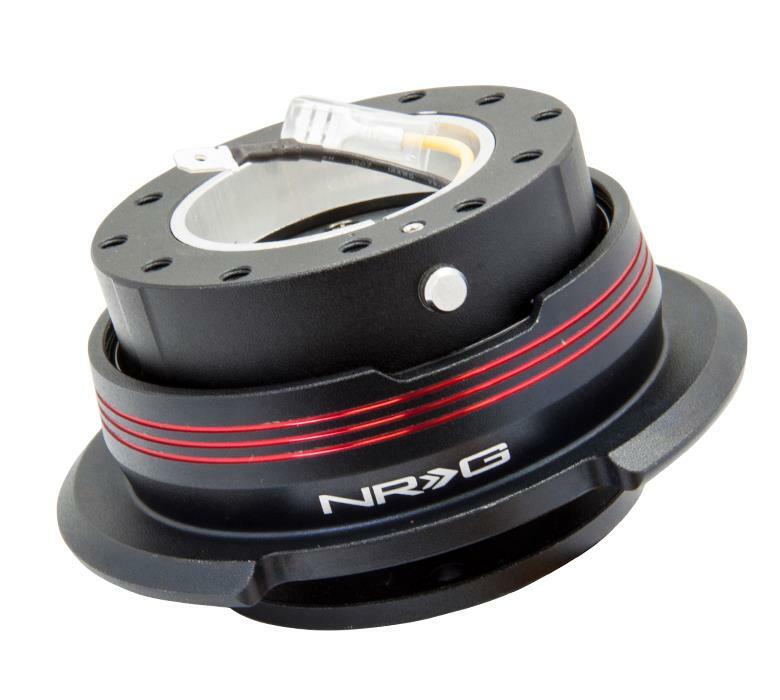 NRG Quick Release Kit - Gen 2.9 UNIVERSAL - Pann Auto Performance - San Diego largest aftermarket automotive performance parts - What do you drive? The Gen 2.9 Quick Release additional appearance contains 3 colored stripes on the upgraded Diamond Cut Black flared ring with either chrome gold, blue or red stripes. This Quick Release utilizes all the features of the Second Generation Systems ball-locking quick release system engineered with raised sections to prevent the scratching and stretching of the hub while a self locking feature adds increased safety and functionality. This allows much easier release for the steering wheel by providing added leverage and grip onto the pull ring. Perfect for race applications where the use of gloves are required.